A year after the world watched with shock as violence swept through London, one riot-hit borough is proud of what the city has achieved in a year. 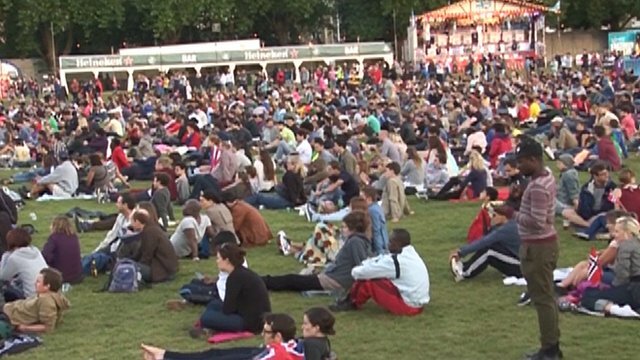 Hackney has been attracting thousands to Victoria Park to witness landmark moments of the Olympics on large screens. BBC London reporter Marc Ashdown watched as Hackney residents celebrated the Games.